Caption slip reads: "Photographer: Olmo. Date: 03-28. Reporter: Petty. Assignment: Nurse refresher course at Gen. Hosp. 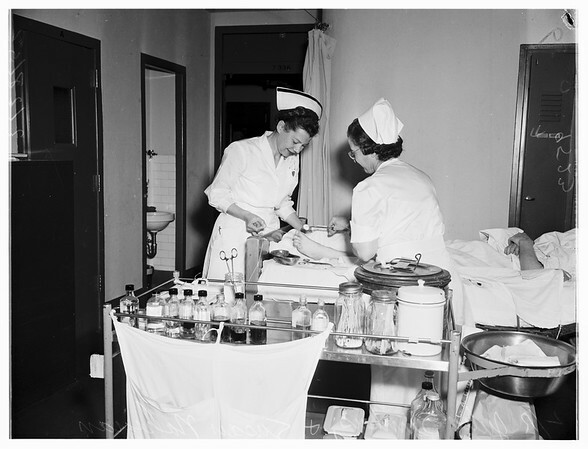 39-40: l. to r. Nurse Julia Simkus instructs Nurse Susan Nahigian in leg dressing.